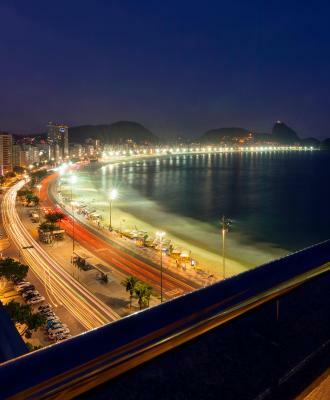 Lock in a great price for Orla Copacabana Hotel – rated 8.1 by recent guests! Th hotel location was amazing. The lobby and pool area was meeting our expectations. The room was small and the bed was extremely hard, sheets were not clean. We checked in late at night and was offered late check out free of charge. Great location! Right in front of the beach and an easy uber/taxi ride to monuments, etc. The staff was amazing and very accommodating with my requests. The breakfast was AMAZING! So much variety. 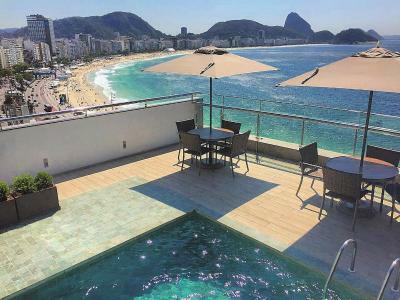 Amazing location right in between Ipanema and Copacabana, hotel is very clean, staff awesome and speaks English. Accessibility is great! Good breakfast with nice variety. Great location near beach. 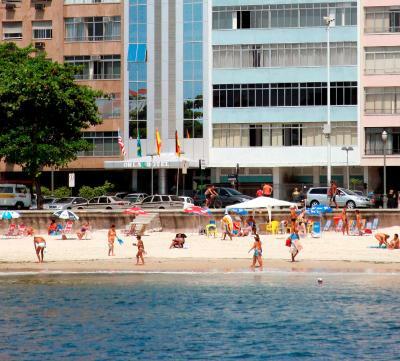 The best thing about this hotel is the location, in front of the beach, close to Ipanema. The staff was very welcoming and friendly. 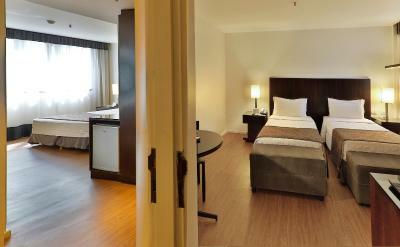 The room is spacious (Deluxe room, ocean view), clean with a very good view on Copacabana. 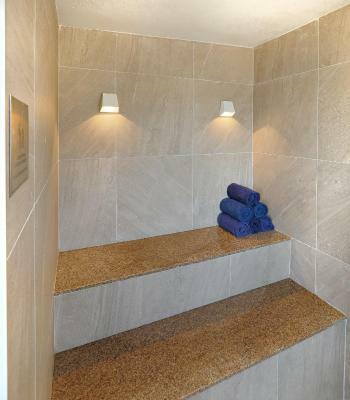 Provide you with towels for the beach and swimming pool. 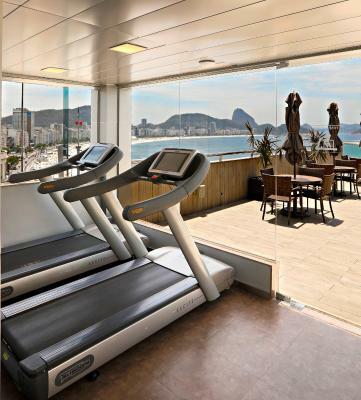 The 13th floor where the pool, bar and gym are, is an amazing view of Copacabana Beach. 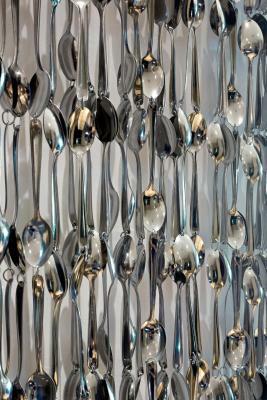 The staff was amazing and very helpful. Rooms were always clean. The location is very safe. I highly recommend this hotel and I would return again. 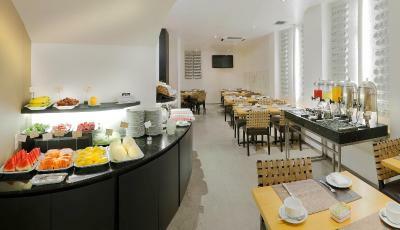 The location and breakfast buffet :) The guy in the front desk, Sir Anderson have also been very very nice and helpful! The staff was very welcoming and helpful! 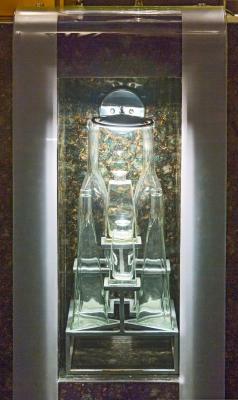 The room was clean and modern with an extremely spacious shower. Also, there is a priceless rooftop view of Copa. 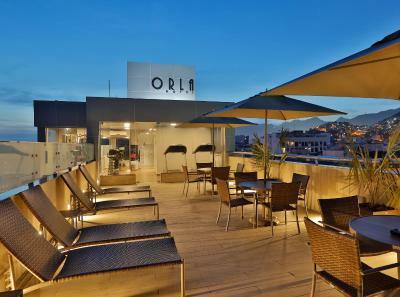 Orla Copacabana Hotel This rating is a reflection of how the property compares to the industry standard when it comes to price, facilities and services available. It's based on a self-evaluation by the property. Use this rating to help choose your stay! 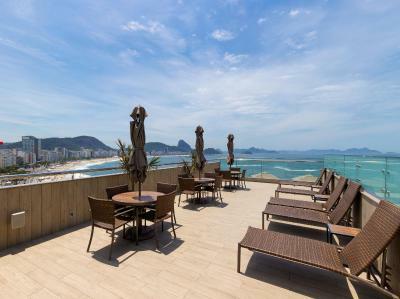 One of our top picks in Rio de Janeiro.Facing Copacabana Beach and within 2,650 feet from Ipanema Beach, Orla Copacabana Hotel features free WiFi, a rooftop pool and a restaurant. 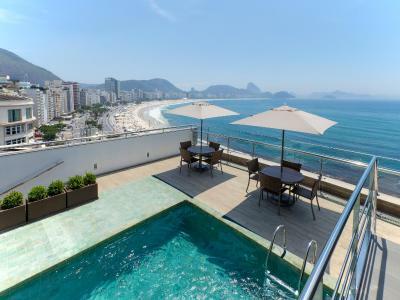 It offers panoramic views of Sugar Loaf Mountain and the ocean. Rooms at Orla Copacabana display neutral colors and modern décor. They provide air conditioning, cable TV and a mini-bar. Some also offer scenic ocean views. 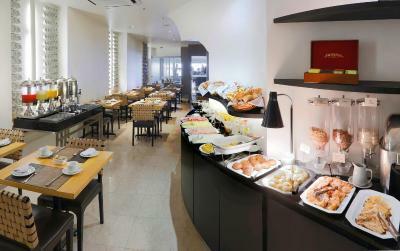 A rich buffet breakfast is served daily and regional and international dishes are available at the hotel’s restaurant. 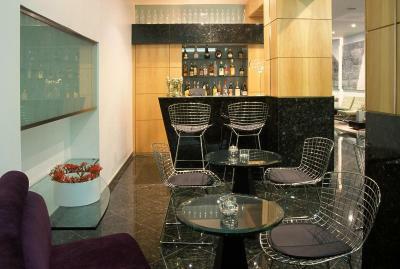 Guests can enjoy exotic cocktails and traditional appetizers at the pool bar and the lobby bar. 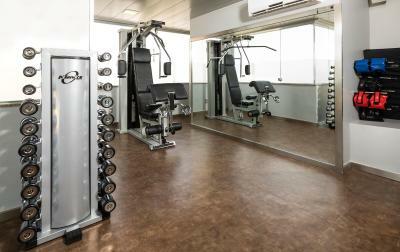 The fitness center provides beachfront views and a sauna is available for use. 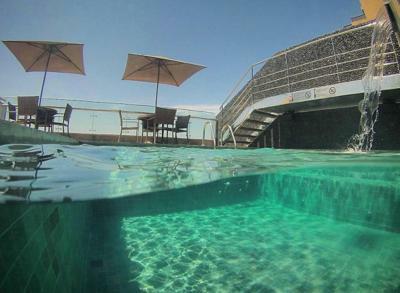 There is a 24-hour front desk and room service is also available. 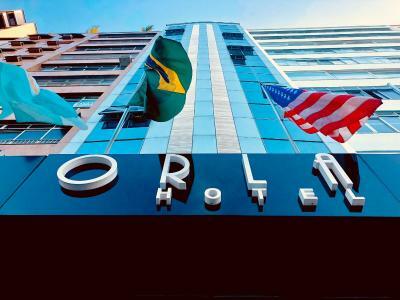 General Osório metro station is 2,950 feet from the 4-star hotel, which allows visitors to access other parts of Rio. 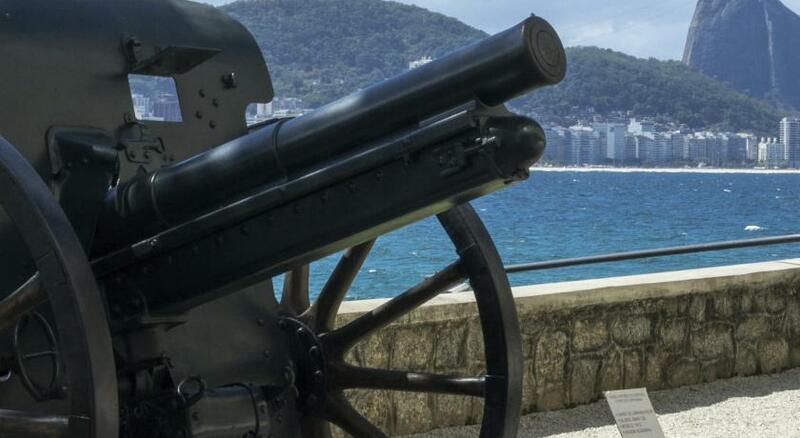 Copacabana Fort is 1,950 feet away, and Santos Dumont Airport is at a distance of 7.5 mi. 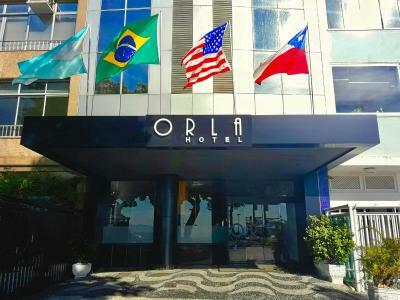 When would you like to stay at Orla Copacabana Hotel? This air-conditioned room has an LCD cable TV, a minibar and a private bathroom with free toiletries, hairdryer and shaving mirror. Room service is available. This spacious air-conditioned room provides city views, as well as an LCD cable TV, a minibar and a private bathroom with free toiletries, hairdryer and shaving mirror. Room service is available. This spacious air-conditioned room provides an LCD cable TV, a minibar and a private bathroom with free toiletries, hairdryer and shaving mirror. Room service is available. This room does not accommodate any extra bed or crib. 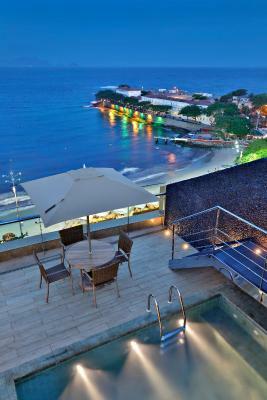 This spacious air-conditioned room features a panoramic view of Copacabana Beach. 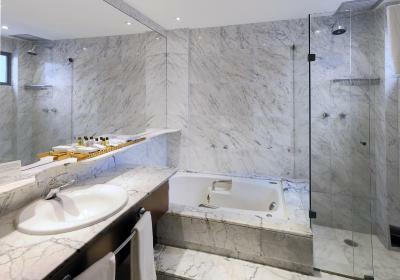 It provides an LCD cable TV, a minibar and a private bathroom with free toiletries, hairdryer and shaving mirror. Room service is available. This room does not accommodate any extra beds or cribs. 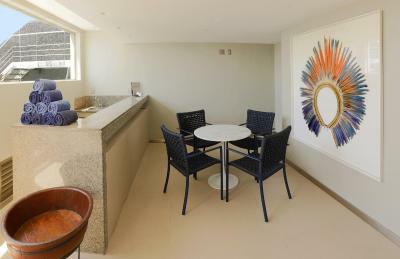 Apartments equipped with WiFi, LCD TV, cable channels, air conditioning, on Copacabana Beach and a few meters from Ipanema. Location and comfort: this is what we offer and we hope you enjoy! House Rules Orla Copacabana Hotel takes special requests – add in the next step! 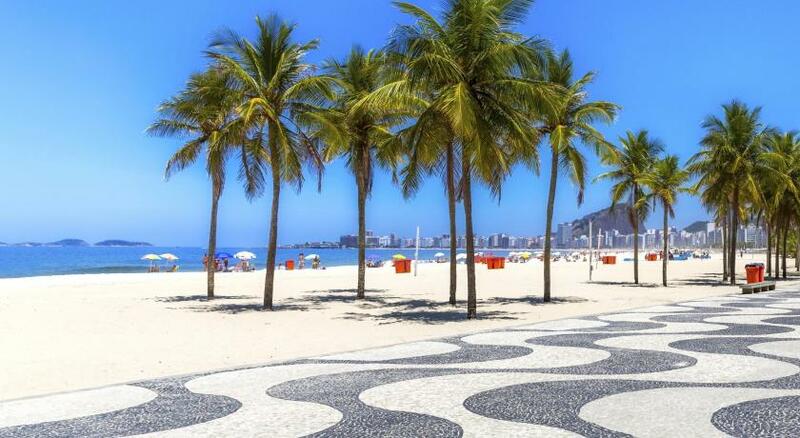 Orla Copacabana Hotel accepts these cards and reserves the right to temporarily hold an amount prior to arrival. 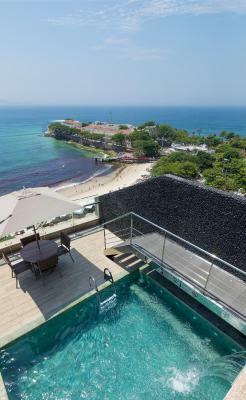 Please note that the hotel will request a credit card pre authorization 48 hours before check-in. 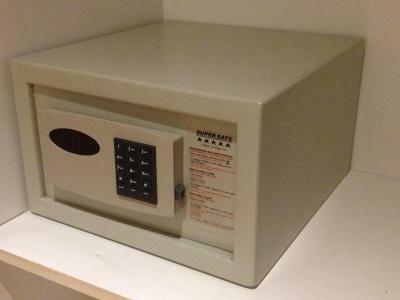 In order to guarantee a booking, the hotel requires the guests credit card details. If you are not the credit card holder of a card you wish to use, please contact Orla Copacabana directly to provide documentation. Please note that in case of nonrefundable reservations, the hotel may contact guests in order to request additional information related to the credit card and credit card holder, as well as an authorization form for credit card charge. Please note that different policies and additional supplements may apply for group reservations. Amazing breakfast. Breathtaking views. 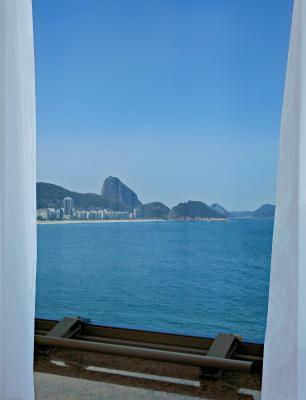 The best placed hotel on Copacabana for views of Sugarloaf and mountains in the distance. Great to watch the world tick by on the street and beach below from the pool area. The pool doesn’t look like the pictures, the room wasn’t super clean. 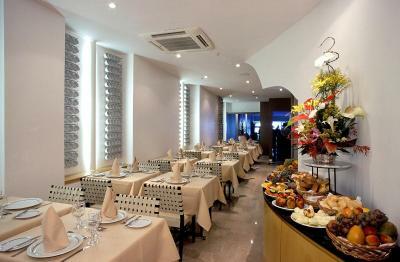 Great location, very nice staff, good breakfast. Excellent location, amazing view from roof. Friendly and helpful staff. When I received my confirmation email it stated taxes were excluded. Once we arrived at the hotel the fees were higher than booking quoted us. I also did not like that they took out passports and copied down information from it. Breakfast could offer more hot food choices for everyone not just Brazilians. I had to get my keys fixed 4 times because they did not work. No one spoke English and could understand us. Gym/Pool area closed at 11 P.M.
My family wanted to visit but were not permitted inside the hotel. The staff were curious and helpful. Breakfast was superb. Excellent position. Franz arranged fantastic tours for us to go snorkeling with the fish and a brilliant value for money your of Christ the redeemed statue and sugar loaf including a jam packed city tour with Patricia. Thanks for arranging this. Cleanless, not very communicative staff at reception and not clean pool . I thought the breakfast was mediocre, even though they had a good selection of fruit, they served same food every single day. This was one of few hotels where staff spoke English but I didn’t feel welcome or accommodated. The staff there look like they don’t want to be there. Bad breakfast, eggshells in the scrambled eggs every morning, wi-fi was down for two days and the staff wasnt very helpful. The very loud drum and base music by the roof pool! It drove us away which is a shame. As we had a late flight back, the manager extended the use of our room which was extremely helpful.